NYC residents choose to sell their loved ones’ estate jewelry for many reasons. Some find themselves in need of quick cash, others are downsizing and can no longer house all the jewelry their loved ones left behind and others are simply too overwhelmed with emotion to keep the items around. Whatever your reason for selling your estate jewelry, you deserve the assurance and peace of mind of knowing that you’re dealing with established and reputable estate jewelry buyers. 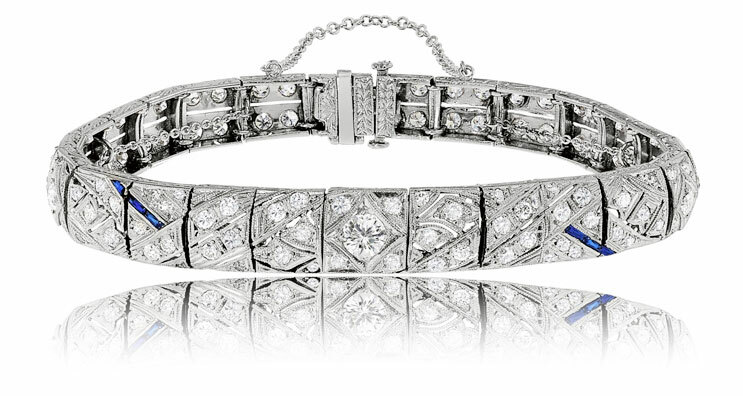 DD Buyers is the premier estate jewelry buying resource in the NYC and surrounding areas. We have been paying top dollar for estate jewelry for over 20 years. Contact us today at 646-736-7321 to sell your estate jewelry. Whether you’re looking to sell rings, necklaces, bracelets or any other type of jewelry products, our estate jewelry buyers will offer a thorough, comprehensive and free appraisal of your items and make you an honest and respect offer on the spot. DD Buyers routinely buys all types of estate jewelry, including but not limited to gold, silver, diamonds and platinum. We also offer pawn options for those who need cash on the spot but don’t want to part with their beloved family member or friend’s jewelry forever. Our customers are very often pleasantly surprised at the high prices we’re able to pay for their estate jewelry. Call us now to find out what we can do for you. Why Sell Your Estate Jewelry to DD Buyers? We understand that our customers have multiple estate jewelry buyers in NYC to choose from, and that they may be wondering what separates us from other options. To start with, we offer years of experienced and trained experts who treat you with respect and honesty. You can rest assured you are dealing with a trustworthy and licensed company. We are also proud to be a certified and registered precious -metal dealers. Only after many years of experience and building a trusted reputation are we able to deal directly with the most trusted and respected refineries in the world. DD Buyers relies on a transparent and fair set of criteria to determine the ultimate value of your jewelry. We have solid and established reputation around the Diamond District and the rest of Manhattan and NYC. Don’t let your estate jewelry just sit there and collect dust. Get the money you deserve and ensure your estate jewelry goes to a good home. Call DD Buyers today at 646-736-7321 to speak with one of our estate jewelry buyers and schedule an appraisal. We very much look forward to hearing from you and helping you get top dollar for your estate jewelry.